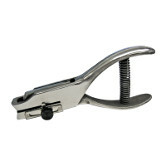 Use one of these single hole punches to make holes in paper, card stock, foam core, and many other materials. 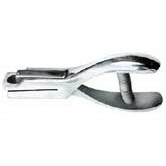 The 1/4 inch hole size is perfect for inserting screw posts or loose leaf rings. Use them to build sample books, swatches, store and trade show displays, or whatever you can imagine. 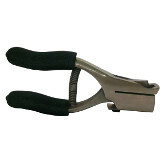 We stock heavy duty punches that are engineered for a long life. Just choose the punch that best suits your application and start creating today. 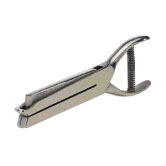 Heavy-duty punch for punching plastic cards up to 32 mil (0.032") easily. It comes with cushioned handles and a large reservoir to catch the clippings. This punch is a good choice for those odd jobs where you can't justify the cost of a power punch or paper drill.